The last of the one hour aprons. I made this for my oldest daughter who is a die hard Alabama fan. I love The Alabama Crimson Tide as much as the next person, she takes it to a whole new level. Sooo in honor of the BCS Championship game tomorrow, I will lead off this post with a Roll Tide apron. 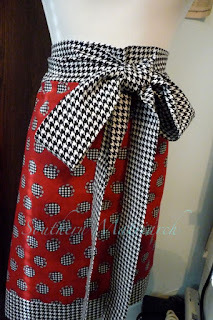 As you know I have made this apron twice before, here and here. 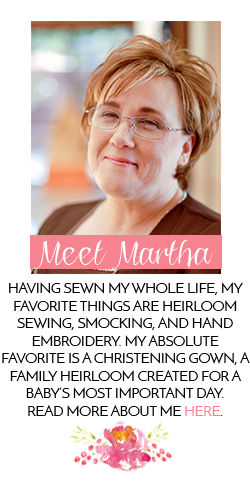 The fabric came from Sew Blessed in Hahira, GA. I had never ordered from them before but service was quick and thorough. 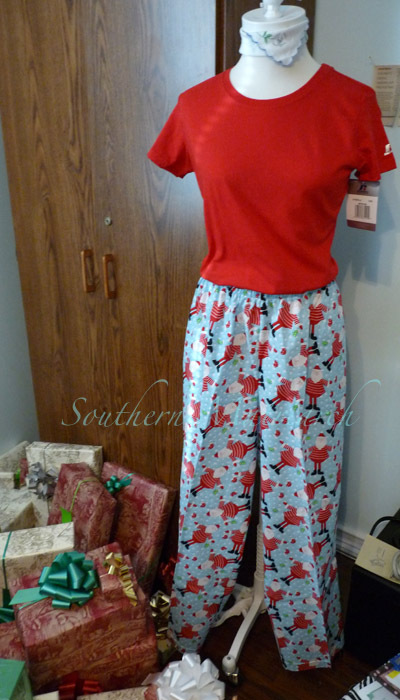 The last but most extensive Christmas sewing project was the nine pair of Santa pajama pants. 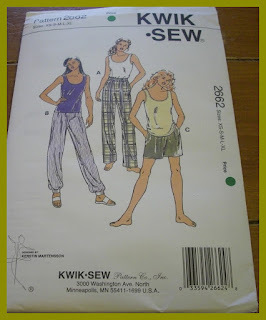 I never in a million years thought I would be making pajama pants for the whole family. I also never would have believed that all of the boys in the family would have gone with it. Ho, ho, ho, surprises do happen. For the boys I used Simplicity 9499. Purchased at Hobby Lobby for $.99. Their only complaint was that the pants had no pockets. Now I ask you, what do you need to carry around while you sleep? 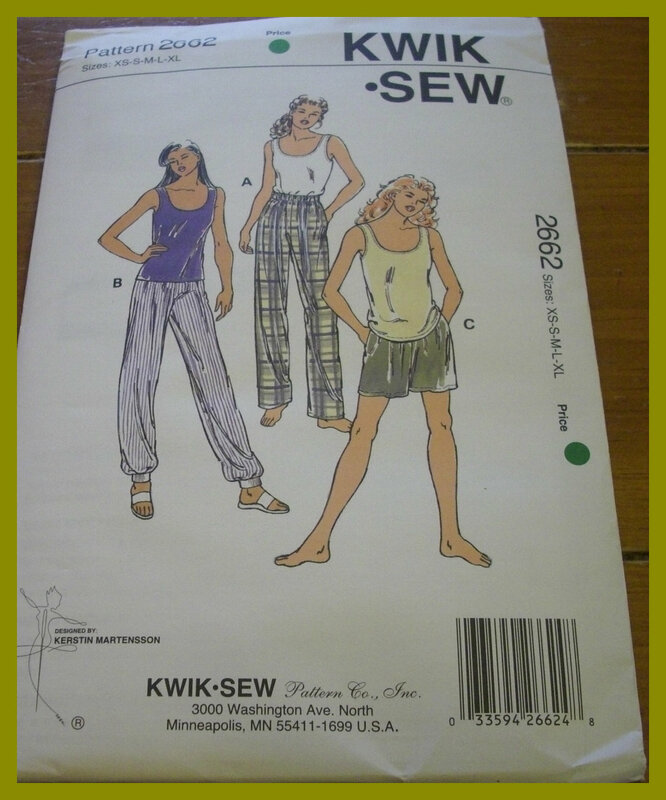 For the girls, I had an old pattern in my stash I used, Kwik Sew 2662. This etsy seller has it, if you are interested. Here are all nine pairs, in all their glory. The fabric came from Hancock's. I purchased three bolts back in late October when the idea was first put forth. Luckily I found cute Santas on sale. The t-shirts were purchased on Amazon.com for $7 each. 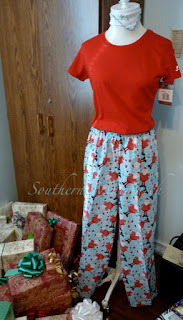 So each pair of pj's were about $16 for both pieces. Not bad considering I tried to get out of this task and looked for pj's to purchase. The cheapest price I could find for any that would work for everyone was $39. That wasn't happening. Amazingly enough they were such a big hit, modification requests were put forth for next year. 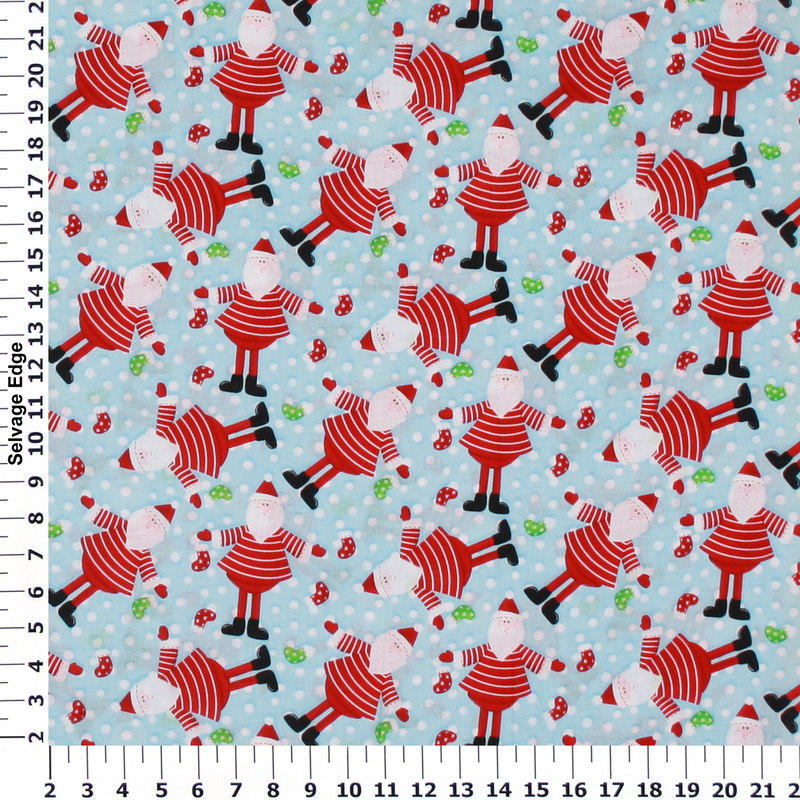 I tried buying fabric after Christmas on clearance, but alas everyone else had the same idea. 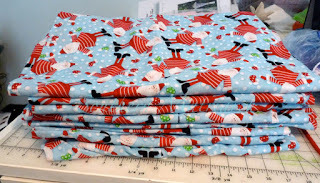 No where on the internet could I find enough yardage of one print on sale. 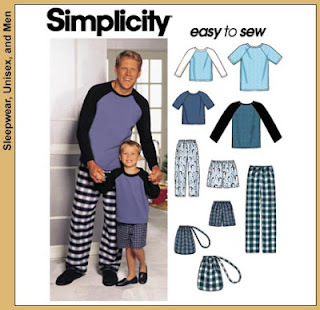 Heaven knows if you are going to look like the Griswold's, they have to match. Out of everyone, I felt the sorriest for our son's girlfriend. She accompanied him home for the holidays. Not too bad, but remember she had only met most of the family once before, at our daughter's wedding in September. What an experience this had to have been for her. She was such a good sport about it all. If you can count, you may notice that there are ten adults in this picture, one person who shall remain nameless Matt wouldn't play. He isn't getting out of it next year! That wraps up the holiday sewing around here. As today is Epiphany, it also concludes the holiday season. I hope your holidays were wonderful and the coming year is blessed. The pyjama photo is marvellous. This project was a terrific team builder and is a huge credit to you. Why not do shirts for next year - red and green long sleeved shirts for games outdoors. 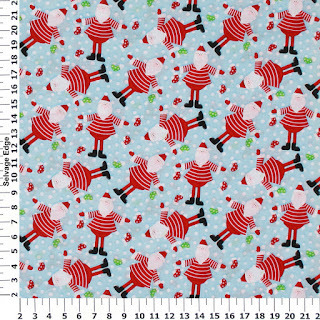 You could possibly get the fabric online. Love seeing all your projects!! You are a busy bee!